'Bumblebee' Review: A Roof-Down, Pedal to the Metal Joy-Ride! Paramount Pictures resets the Transformers cassette tape back to the 80’s in Bumblebee; a fun, buddy-comedy filled with action, laughs and a soundtrack of 80’s hits that will have you fist pump the air. 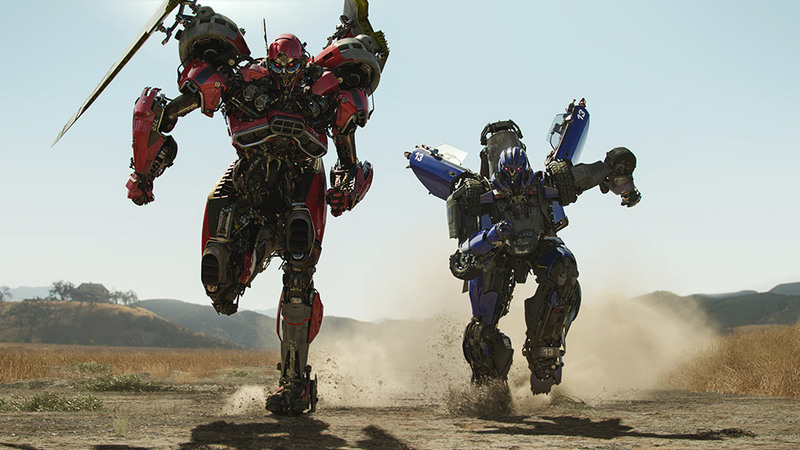 New drivers at the helm of Bumblebee (bye, bye, Bay) may have rescued the Transformers series from being turned into scrap metal, choosing to learn from the mistakes of previous instalments by not making the film excessively loud, long and jarring. 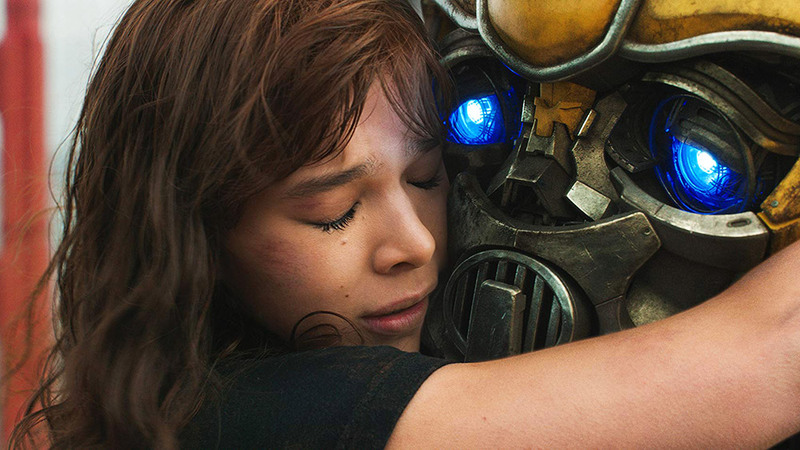 Serving as an executive producer on the film, Steven Spielberg’s influence is apparent with the film focusing on San Francisco teenager Charlie (Hailee Steinfeld), who comes into possession of Bumblebee, a giant yellow robotic-alien that can disguise itself as a Volkswagen Beetle, who crash-lands on Earth following an intergalactic war. Think E.T. with guns. Steinfeld carries the film and does so by showcasing impressive range, clearly understanding the 80’s tropes the film relishes in whether it be confronting the school bully, awkward interactions with boys and throwing rocks at a window to get someone’s attention. Charlie’s life hits the brakes following the death of her father and she uses her spare time to rebuild a vintage vehicle they had worked together on so she can remain connected to him. A shared appreciation for music and driving brings Charlie and Bumblebee together and plays to director Travis Knight’s (who has worked largely in animation at Laika studios) strengths in building caring relationships with fantastical characters. Too easily could this film have been titled ‘How to Train Your Transformer’ with Bumblebee being a kind, timid victim-of-war resembling that of a Great Dane that doesn’t understand how big it is. The film reminds you why you care for Bumblebee with the looming impact of the villains established once characters and relationships are developed. Concentrating on fewer characters – particularly less Transformers to make clink, clank noises – and having the humans be less robotic than the actual robots is an improvement on previous Transformers films, which from the second film onwards placed greater emphasis on fight scenes and product placement. Military involvement within the film is intentionally spoofish with bad decisions on the military’s part to cooperate with the Decepticons called out point-blank by wrestler-turned-actor-jorts-enthusiast John Cena, who continues a stellar year of comedic roles by playing a self-aware government agent. Having generic, menacing villains does no disservice to the movie as their involvement in the film functions to strengthen Bumblebee and Charlie’s relationship. Visual effects have a feel of crispness to them with the fight scenes being arguably the best and most legible in any of the Transformers films, thanks to less complicated character designs, fewer characters involved in the fights, and the decision to make the antagonists primary colours as opposed to grey. It can be a risky and expensive manoeuvre using a soundtrack to create a sense of personality for a film without coming off as try-hardy (looking at you Star-Lord), with Bumblebee featuring a catalogue of 80’s bangers which not only work as a way of setting the film in that era but also as a way for Bumblebee to express his feelings. A love of music is what also helps the main characters connect with hilarity ensuing when heavy metal lover Charlie shows her music collection to the heavily-made-of-metal Bumblebee. Not without its shortcomings, Bumblebee is rusty with respects to tone with the film too quickly, and without consequence, forgiving acts of excessive violence. Talks of rebooting the Transformers series, which has run in longer continuity than the MCU, are in discussion with a lot riding on Bumblebee to salvage the franchise from the scrapyard. Whatever the case, Bumblebee is a fully loaded homage to 80’s cinema and if it’s anything to go by, shows great promise should the Transformers series have future instalments. When Charlie is getting dared to jump off of the cliff, Bumblebee briefly plays “The Touch” by Stan Bush on his radio. “The Touch” was the main theme song for “The Transformers: The Movie (1986)” and subsequently used in the television series.